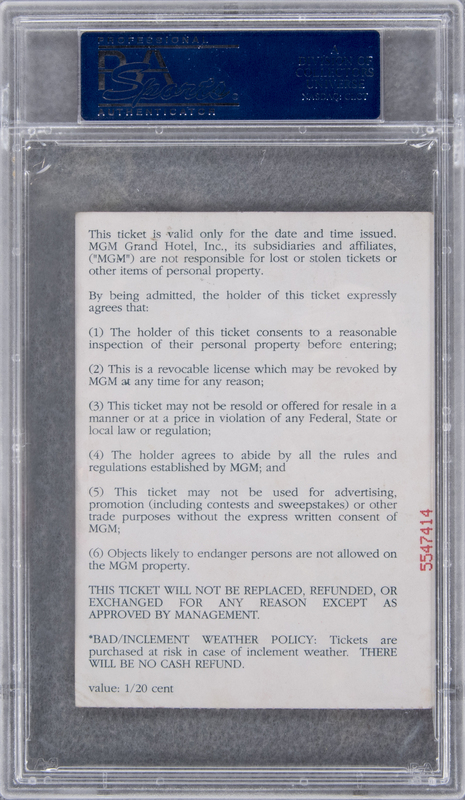 You have a limited time if you want to purchase Tupac Shakur‘s personal ticket stub from the Mike Tyson vs. Bruce Seldon boxing match from the night the West Coast legend was fatally shot in Las Vegas on September 7, 1996. He died from his injuries days later. The stub is up for auction and at the time of publication only has two bidders, the highest being $8,500. A copy of Cathy Scott’s The Killing of Tupac Shakur book detailing the fateful night is included in the auction lot with the ticket. After Mike Tyson hit his first round KO, ‘Pac allegedly handed his ticket stub, with his section FLR4 Row E Seat 2 printed on it, to a man and said, “Here you go boy, enjoy this,” TMZ reports. Someone else ended up buying it and is now looking to auction the piece of history off through Goldin Auctions. Maybe Martin Shkreli will cop it since he’s into collecting Hip Hop mementos, the latest being the highly anticipated project from Lil Wayne, Tha Carter V.
These days, Mike Tyson is done with his own boxing career and is now reportedly training Chris Brown for his fight against Soulja Boy. 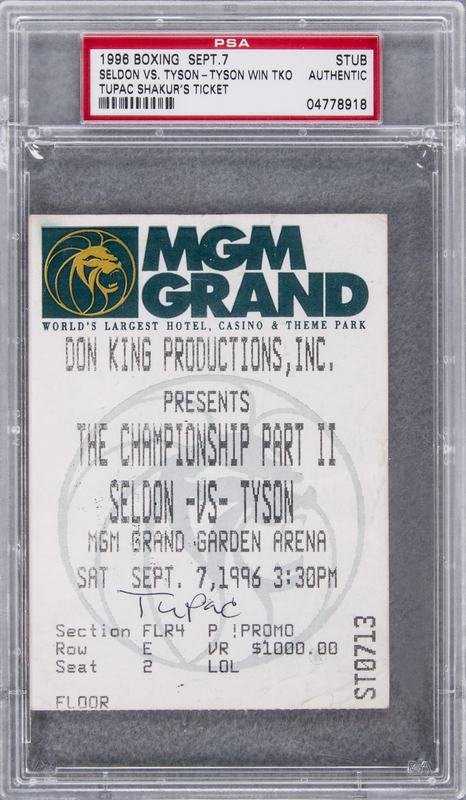 Check out Tupac’s ticket stub from the Mike Tyson fight in Vegas below. Share the post "Tupac Shakur’s Mike Tyson Fight Ticket From Night He Was Fatally Shot Up For Sale"